Contact us to discuss cloud ERP options and best-fit solutions for your organization. We would be glad to share more about Trek Global’s solutions, which include private cloud and SaaS ERP options. If you’re just getting started, our consultants can also provide support to your ERP planning process. Enterprise Resource Planning (ERP) is an integrated suite of applications that helps to automate and support an organization’s business processes. Throughout the entire order-to-cash cycle, ERP provides the end-to-end functionality that growing organizations require to operate effectively. Companies that utilize ERP can improve efficiency, deliver better customer service, support growth and increase their bottom lines. The cloud takes ERP to a whole new level. Cloud ERP adds in the ability to do business anytime, anywhere, and from any device with internet access. You simply log in securely to your cloud ERP from your web browser. 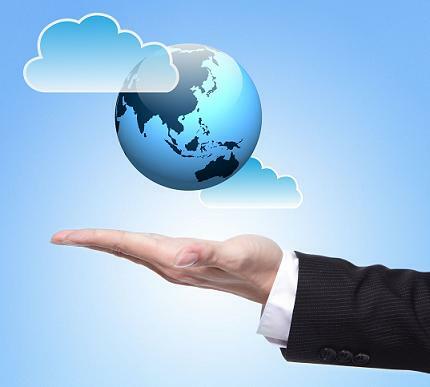 Organizations that utilize the cloud have greater freedom and flexibility. Selecting a cloud ERP solution that is offered in a Software as a Service (SaaS) model brings you even greater value. With cloud SaaS ERP, your solution is managed for you, freeing up your IT staff from the time and effort of performing upgrades and system updates. Learn more about the difference between single-tenant cloud-hosted ERP versus multi-tenant SaaS ERP in our article, Cloud-hosted ERP vs. SaaS: Which Choice is Right for You? Learn more about SaaS ERP benefits in our article, 8 Reasons Distribution Migrates to Cloud SaaS ERP. We are in the midst of a Mobile Age, with a majority of adults now constantly connected via iPhones, Android devices, tablets, laptop and desktop computers.2 Cloud ERP allows these already connected workers to have the flexibility they need to keep pace with business. It’s hard for companies to maintain adequate system and data protection measures with their on-premise solutions. Using cloud services means that you are utilizing state-of-the-art technology and best practices that provide you and your customers with the highest availability and security. A cloud solution’s proactive measures address the full scope of system and data protection, from system monitoring and preventative maintenance to environmental control and disaster recovery. Trek Global deploys Trek Cloud ERP on highly secure, reliable and scalable cloud computing platforms through Amazon Web Services (AWS). We have worked with AWS for more than a decade with great success. AWS serves many other Fortune 500 companies and businesses worldwide, and is a leading cloud storage services provider in Gartner’s Magic Quadrant. 1Aberdeen Group. SaaS ERP in Wholesale and Distribution: Enabling Communication Across a Wide Network. 2Pew Research. Mobile Technology Fact Sheet. 3Aberdeen Group. SaaS and Cloud ERP Observations: Is Cloud Right for You?